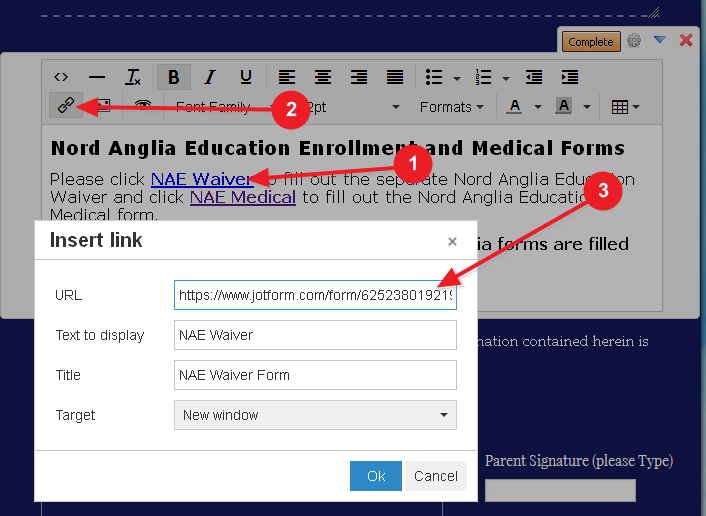 I see that you are already using a Text field, but in your case, the problem is the links that were entered - both links seems to have been entered as "https://www.jotform.com/", which is why they will send you to your form listing. Please try it out, and let us know should you encounter any further difficulties with setting up your form links. Thank you.